John Deere extended its machine warranty on all Commercial Worksite products from one year to two years. 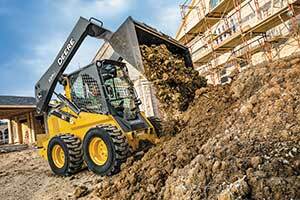 This coverage includes new compact track loaders, skid-steer loaders, compact wheel loaders and compact excavators. The standard warranty now promises that Deere will fix any defects in materials or workmanship for two years after delivery or 2,000 hours—whichever comes first.